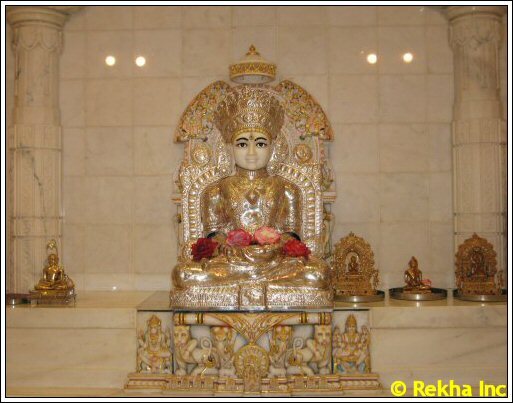 The Jain Temple has seven pratimas belonging to both Digambar and Shwetambar tradtions. The seven pratimas include Lord Adinath Bhagwan, Bhagwan Parshwanath, Bhagwan Vasupujya, Bhagwan Munisuvrat, Bhagwan Mahavir, Bhagwan Shantinath and Bhagwan Chandraprabh. Facilities at the temple include a community hall with kitchen and dinining hall and library.